Pat is a Registered Dental Hygienist who has worked at our office for almost 30 years. Pat is very outgoing and sociable and loves getting to know her patients. 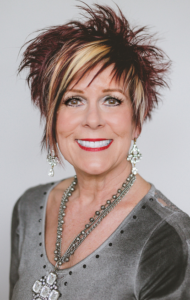 Due to her many years of experience and dedication to her patients’ oral health, Pat provides the highest quality of dental care and education. She is married to Chip and they have a cat named Abby who they love! In her spare time, Pat likes to walk, take care of her many house plants, and go on trips to the beach whenever possible.